that I liked the best. My husband has great hair, but even more impressive than that, he has impeccable taste in socks. 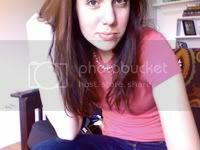 I am the creepy stalker lady who will flip back through the archives of a stranger’s blog, if that stranger is the right combination of Talented, Interesting, and usually Funny. You probably don’t need me to tell you that Armstrong, the writer of Dooce.com, is all of those things. And reading this book, a memoir of her first child and subsequent mental breakdown, is exactly like taking a long trip down Dooce’s archives, except it’s narrative, which makes it better, and it’s paper and has two covers. I’m not even 25, but I have to smother my biological clock with a pillow at least once a week so the tick-tick-tick-babies-babies-babies won’t drive me insane. 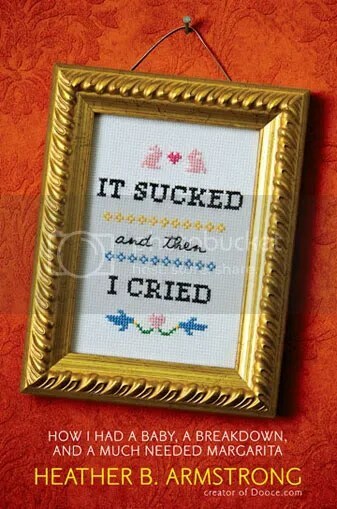 Reading tell-all Mommy Memoirs is a consequence free way to indulge my urges. So in essence, this book = interesting, funny, indulgent. Another book you’ll want to drink down from start to finish as soon as your hold comes in from the library. 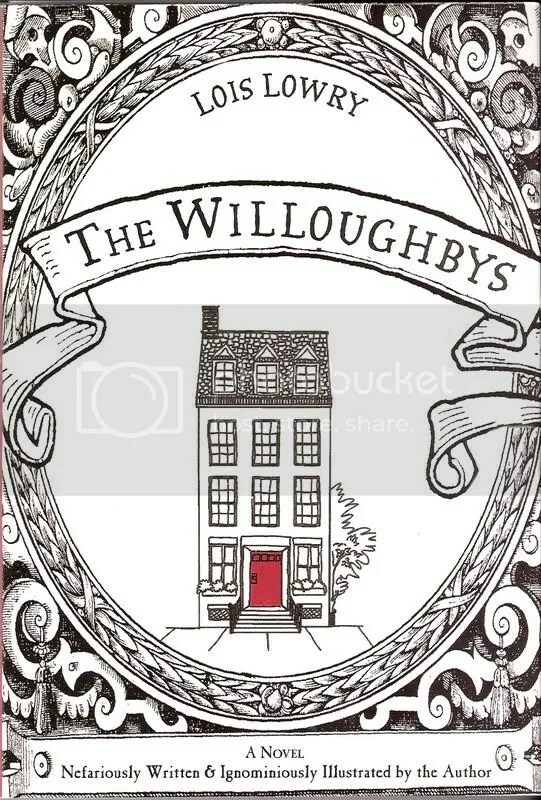 Once upon a time there was a family named Willoughby: an old-fashioned type of family, with four children. This book charmed me. It was my second to last book off the syllabus, and I had this big stack of shiny new books waiting for me… oh, I could taste them, they were sitting on the shelf, taunting me, all the books I hadn’t had time to read for three months… but I forgot all about them. This book was so completely charming. I think that’s one of those buzz words you’re supposed to avoid in book reviews, or so says one of my esteemed professors, who has done her time as a professional reviewer. Charming. So let me be a little more specific. The Willoughbys are an old-fashioned family. Old-fashioned things happen to the four Willoughby children, like when a baby is left on their doorstep. Or like when their parents decide they no long want children, so they run off to Europe and leave their children in the care of a tough-minded, kind hearted nanny named Mary Poppins. Oh wait, her name is just Nanny. They leave the baby in the care of the reclusive millionaire who lives in an impressive mansion, paid for by his successful candy business. I really just like “charming,” though. My first thought is: My mother is dead. I have already written a brief review of this book, so instead, I will tell you a little story. Last summer, my mom and I took the bus down to Chicago to see the vendors at ALA’s national conference. It was free, it was a fun little library road trip. And mostly, I wanted to troll for ARCs. I found this one and read it on the bus ride back to Michigan. It took me a few hours. I put the book down and sighed. The lady across the aisle from me asked me how it was. I said something about it being good, being sad, or something. She read the back of the book, said something about how she didn’t know he had one out, and I said I didn’t know either. And then I told her to keep it, because we’d grabbed two – one for me, one for Caroline. Fast forward a few months. It’s Cybils nomination time. I like the Cybils, in theory, but holy goodness why must we nominate EVERY BOOK WRITTEN IN AN ENTIRE YEAR, especially because the underdogs never seem to win. Oh, but that never stops me from joining in the fun. I took a brief glance through my Read Along At Home Guide and thought surely every book I’d read that I thought was halfway good was already nominated. 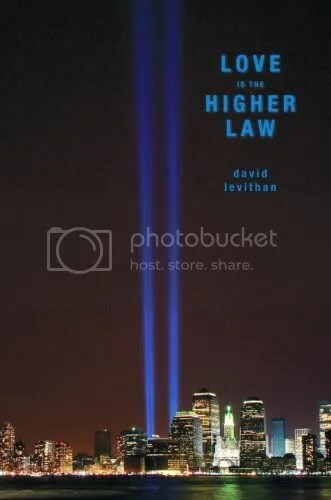 Until my eyes landed on Love is the Higher Law. Oh snap! Must nominate! Fast forward some additional months. There’s an incoming link to my blog, from the Cybils blog. Oh, they’ve linked to me, because I’ve nominated a title. How nice. Oh, and they’ve started reviews. I wonder what the reviewer thought about the book? Does it really stand a chance? I’m glad she liked it as much as I did. Don’t you love when a book gets loads of hype, and it’s actually a good read? I do. 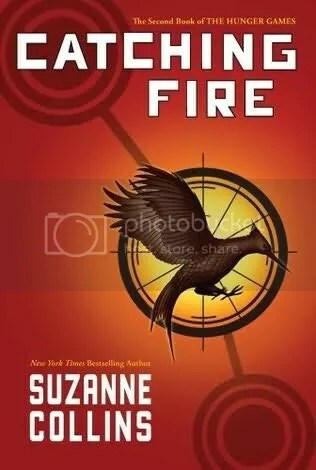 For the 2% of the planet who hasn’t read these already, Katniss Everdeen is a 16-year-old girl living in District 12, the poorest of the “states” that now make up a post-disaster US. Most of the people here work in the mines, but the work is dangerous. Katniss’s father died there, leaving her to help provide for her mother and younger sister. When she can, she sneaks past the electric fences that surround District 12, leaving the community to hunt game in the woods. It’s illegal, but she’s good at it – her father taught her how to set traps, track prey, and shoot a bow and arrow – and it’s lucrative. But not always. 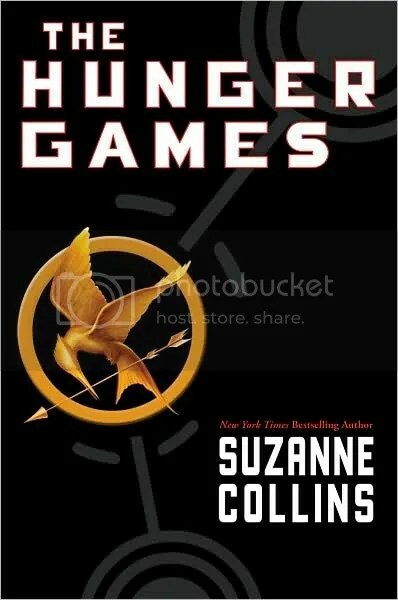 One year, Katniss buys 20 tessera – extra rations of food and oil – from the government, but it’s at a high price. Every year, to remind the Districts of the dangers of rebellion, the government draws the name of one boy and one girl from each District to compete in an epic, televised battle to the death. Every child gets one entry, but every tessera costs you one more. But when it comes time for The Reaping, Katniss isn’t selected – it’s her little sister Prim. Okay, is that enough to get you to want to read the book? My mom listened to it on audio, brought it home and said “Read This.” I gave it to Lance, my 24-year-old boyfriend. He listened to it and said “READ THIS NOW!”I read it: I thought the first 50 pages or so were slow, but after that I couldn’t put it down. Then my 13-year-old sister read it while my family was vacationing at my grandpa’s house. By the time they all came home, Caroline, my 16-year-old sister had read it and so had my DAD. My dad who once told me that YA was just “stories about teenagers where you throw in a swear once in awhile to get a rise,” or something to that effect. So if you fit into any of those categories, you will like these two books. The sequel, in my opinion, was just as good as the first installment. Thanks to my CHL buddy, Elena, I got to read it before November (that’s how long my hold took to come in). And yes, we both have the release of number 3 on our calendars. 8.24.2010. You might as well write it down too. Come back tomorrow for THE TOP FIVE!